Congratulations to the BHBL XC boys and girls teams today for a great job at this competitive meet. Some great racing today! Many of you had personal bests. All your hard work has paid off. Be proud of your performances today and throughout the season. You ran against some of the best high school teams in America, and you were superb! Your parents, your school and your community are very proud of you. Congratulations! It is amazing to see how strong our runners truly are! 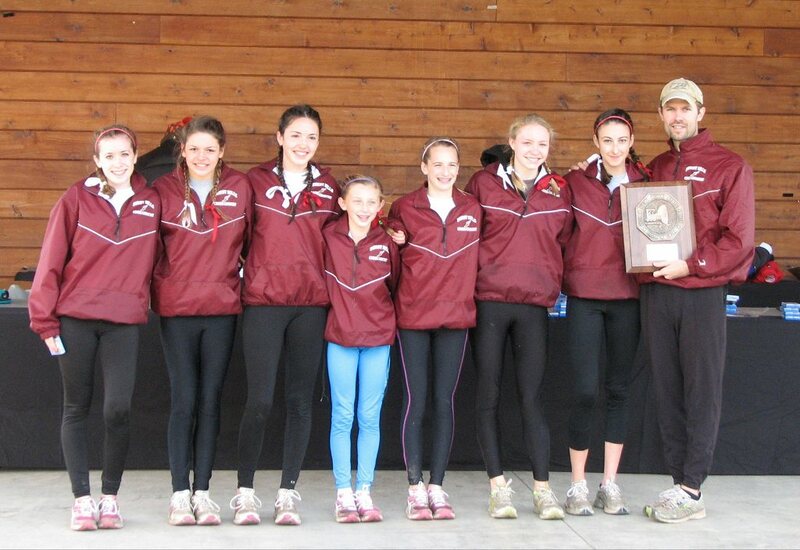 Their effort in the mud at the XC State meet shows that all those hard workouts and tough training pays off. Great job to all the competitors, you did an awesome job. It was an amazing day of racing. The BHBL Boys started the day with a strong win led by Buddy Herkenham. The Girls followed in the afternoon, and despite the strong wind gusts at the start of their race also won their division. They were led by Alyssa Drapeau. Terrific racing today with lots of PRs. BHBL proved they had what they needed to make the trip next weekend to Verona. Congratulations! It was a cold, raw and unseasonably snowy Saturday in upstate NY. Our BHBL XC runners brought their best performances despite the weather. Great running by all in the final regular meet of the season. Congratulations to all that participated! 6 – 7:30 PM at the Ballston Town Hall, Charlton Rd. A strong finish against two strong teams to end the dual meets for the season. Forward, backwards – it doesn’t matter, just not upside down! 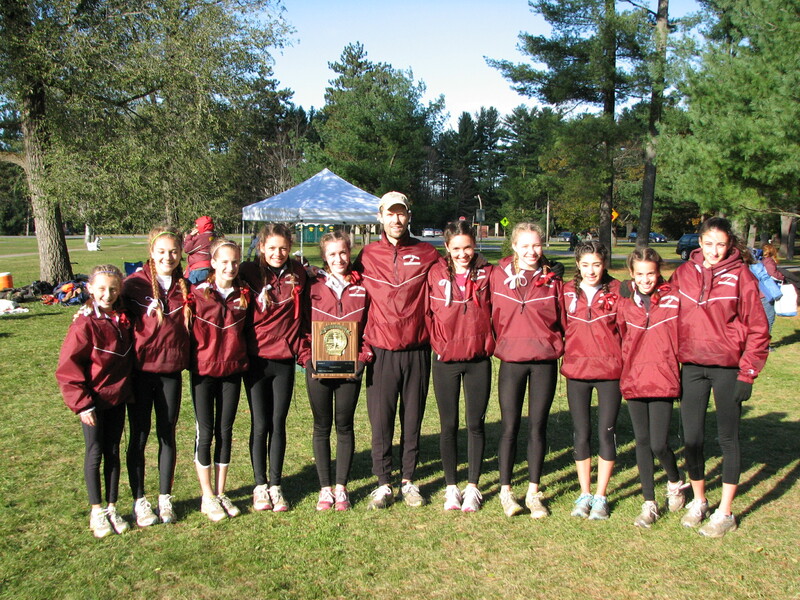 81 schools came together at Saratoga Spa State Park for a great day of racing! The rain held off and the temperatures cooled for some excellent running conditions. Congratulations to all of the runners! There sure were a lot of PR’s out there. Varsity, JV and Freshman Girls all took 1st place! Varsity and JV Boys A took 4th, JV Boys B 3rd and Freshman Boys 1st! Many, many thanks to everyone who helped make this event so successful. It would not have been possible without you! A successful trip to Columbia High School. 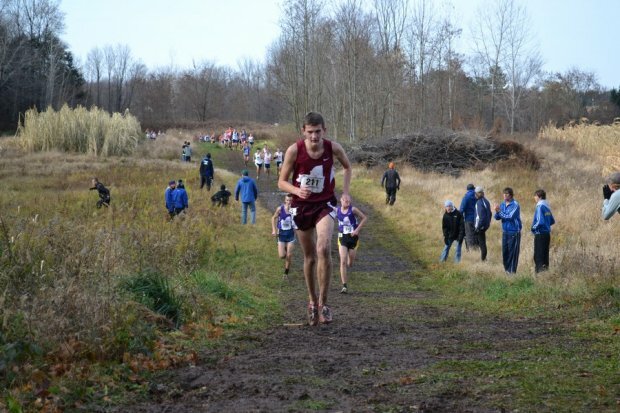 Thankfully the rain held out against Columbia, Mohonasen and Niskayuna but there were still some muddy finishers at this meet. Great job Freshman Girls/Boys, JV/Varsity Girls and JV/Varsity Boys. If you were not able to attend the meeting and have not yet volunteered for anything we still need you! Please consider helping with set up, concession, course marshalling, finish line, clean up and more. Contact trackclub@bhblrunners.com to sign up! A raw day in Rochester met the runners with misty rain in the morning, followed by mud and a cold breeze later in the day for their races. It was a great day of racing despite the nasty weather. The boys JV team won with a nice win from James Mango. Boys Varsity came in 3rd overall, led by Buddy Herkenham placing 3rd. The girls Sophmore, Varsity and JV teams all placed 1st. Sophmore race was led Emily Digman (4th), Erika Frees (5th) and Mary McGuinness (6th). 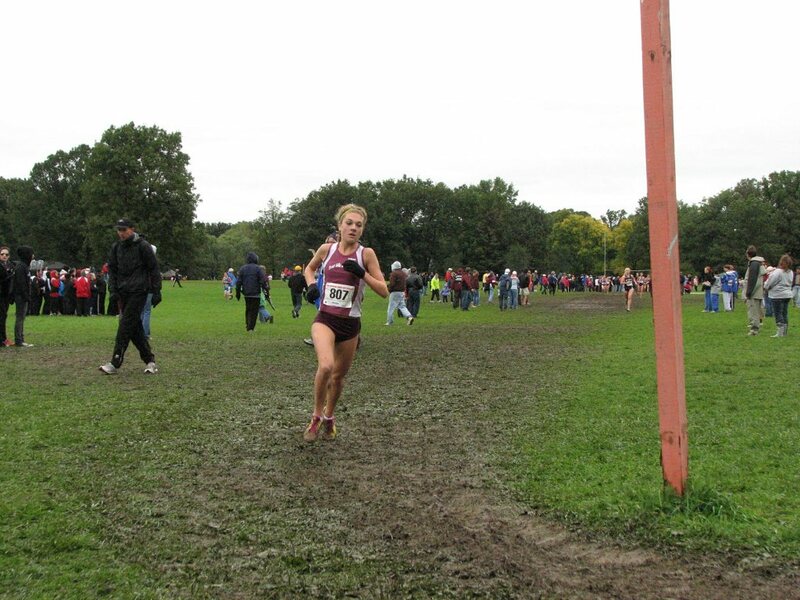 The Varsity race was won by Dani Martino. Meagan Roecker placed 1st in the JV girls race. You all did great – racing against tough teams on a very hot and humid day! First place for Freshman, JV and Varsity girls! Amazing job on a tough course! Back to Tawasentha after more rain. Nice job everyone! A big thank you to everyone who helped with and supported this very successful home meet, our only one of the season. Great job BHBL XC teams at Guilderland’s Invy! Despite the mud and the longer new course with that STEEP hill BHBL prevailed! Varsity Boys and Girls 1st; JV Boys and Girls 1st (girls with a perfect score of 15! ), the Frosh Boys 4th and Frosh Girls 2nd. Boys JV and Varsity teams had a great start to the season at the Fonda-Fultonville Invitational. Congratulations to all the runners!